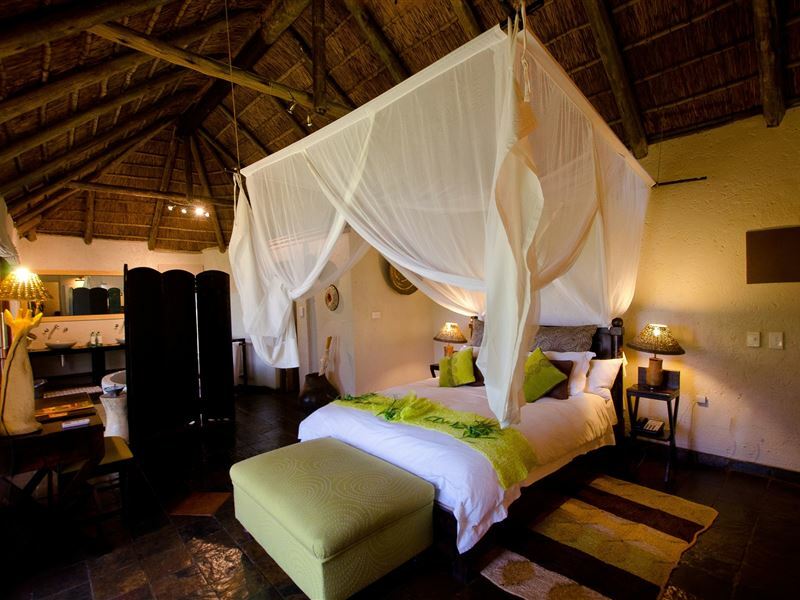 On the far Northern border of South Africa lies a beautiful area known as the Great Marico and it is in this spectacular setting, in Malaria free Madikwe Game Reserve, that Tau Game Lodge is situated. 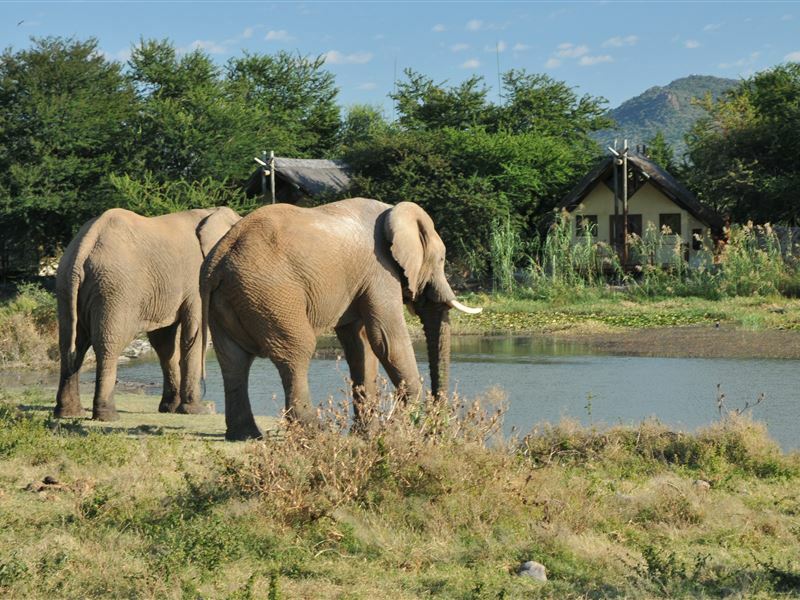 Privately owned Tau Game Lodge was built in 1995 and overlooks a vast natural waterhole, which attracts a variety of game, as does the diverse vegetation, which thrives in the fertile topsoil. 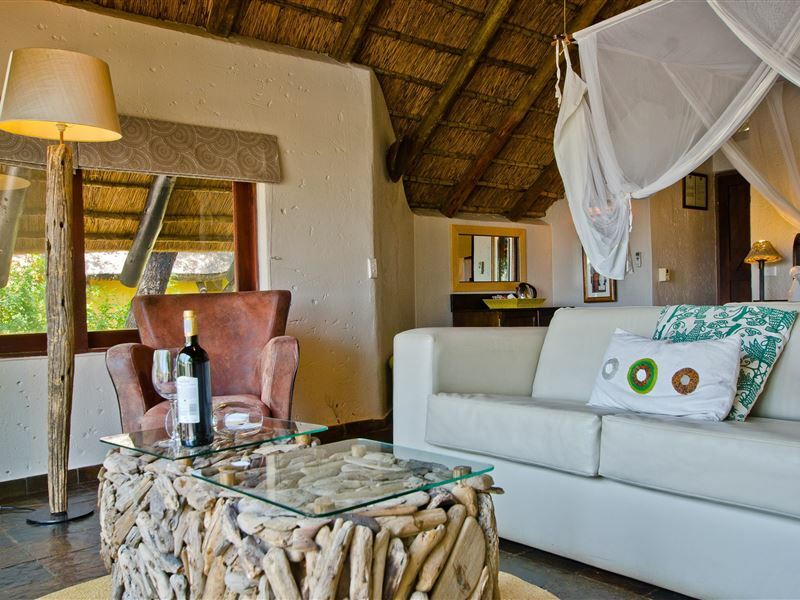 The Lodge was designed to reflect the natural surroundings and makes use of the natural resources wherever possible. 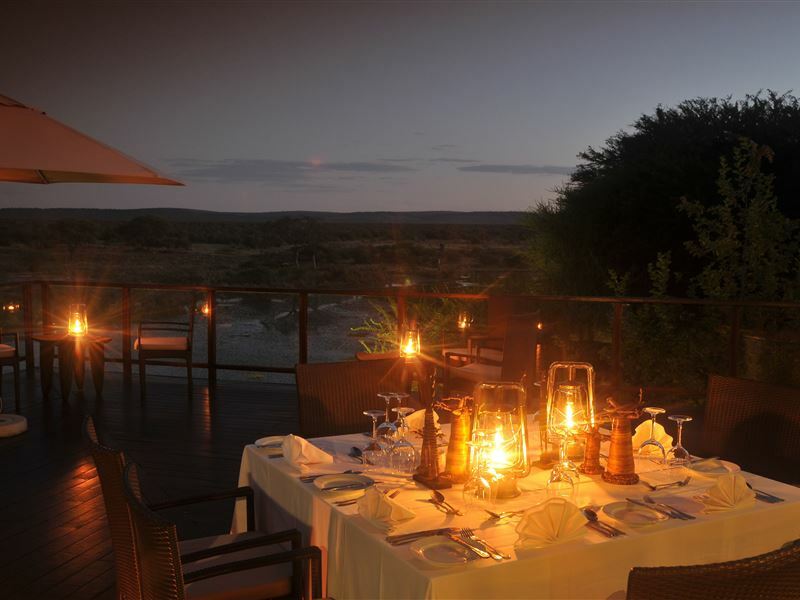 The main body of the Lodge is two-leveled and has a comfortable lounge, plunch pool, curio shop, bar and dining-room which are semi open-air and overlook the waterhole. 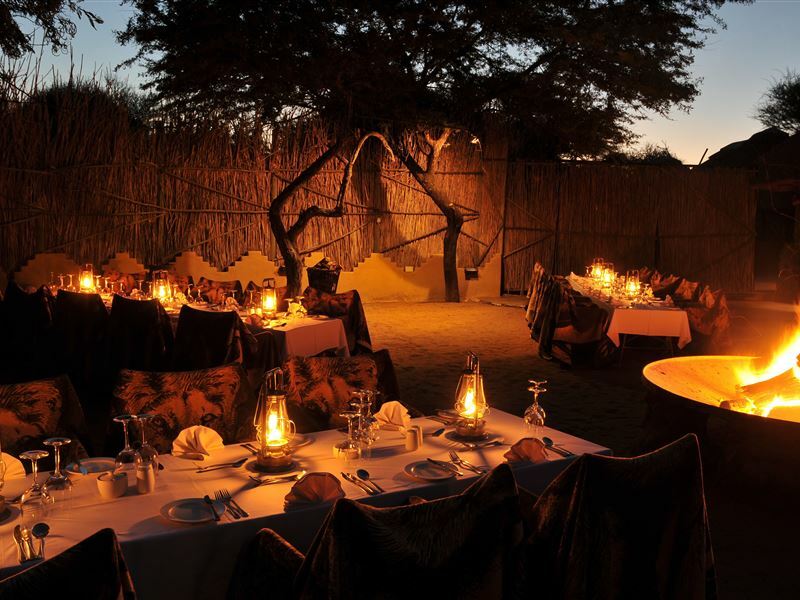 Delicious buffet breakfasts and lunches are generally served in the main building or on the verandah next to the plunge pool and dinner is served in a cosy boma under the stars. 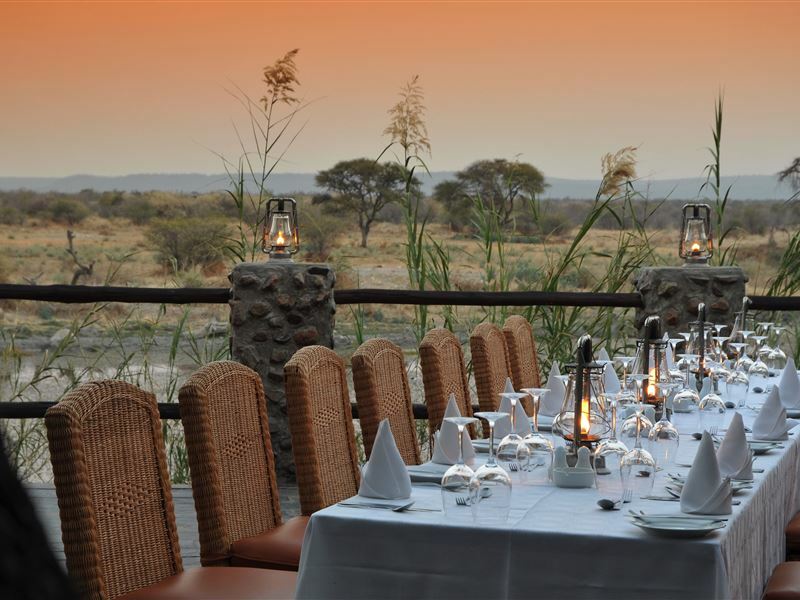 Situated at an easy 4 hours driving distance from Johannesburg, Tau, the place of the lion, can host and accommodate up to 60 people. 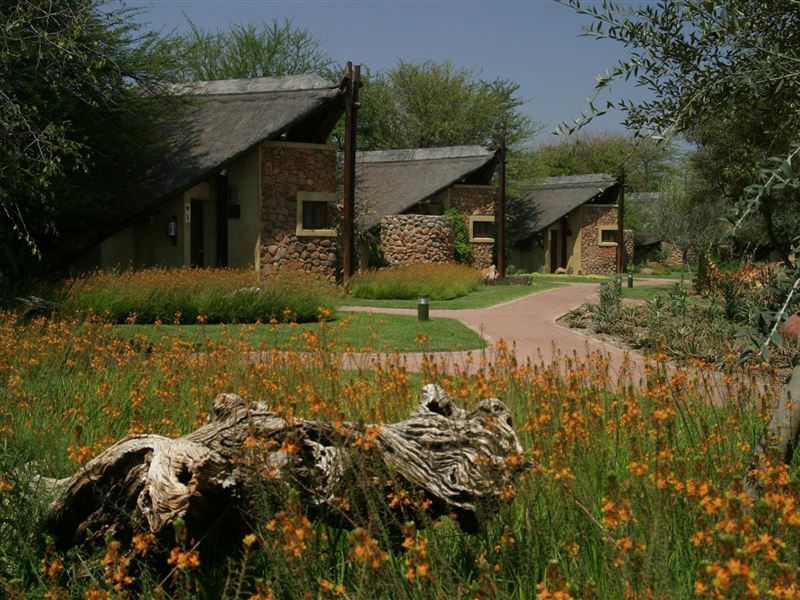 Tau Game Lodge has a state-of-the-art convention centre suitable for up to 150 delegates. The Lodge is child friendly offering special kiddies drives for children below 6 years of age. 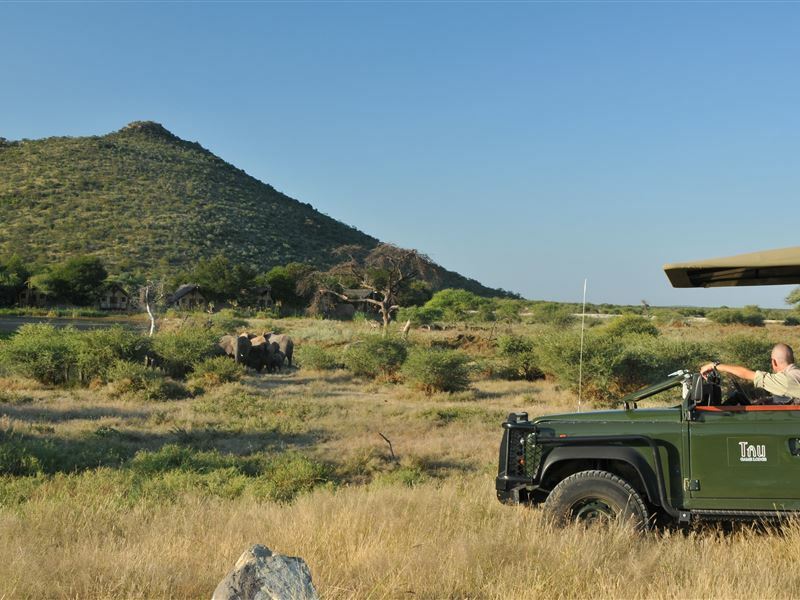 From 6 years onwards children are allowed on the adult safaris subject to management discretion, please enquire about our child rates and policy. Wellness & Spa: The Tau Spa Oasis offers guests deep relaxation and rejuvenating spa treatments. 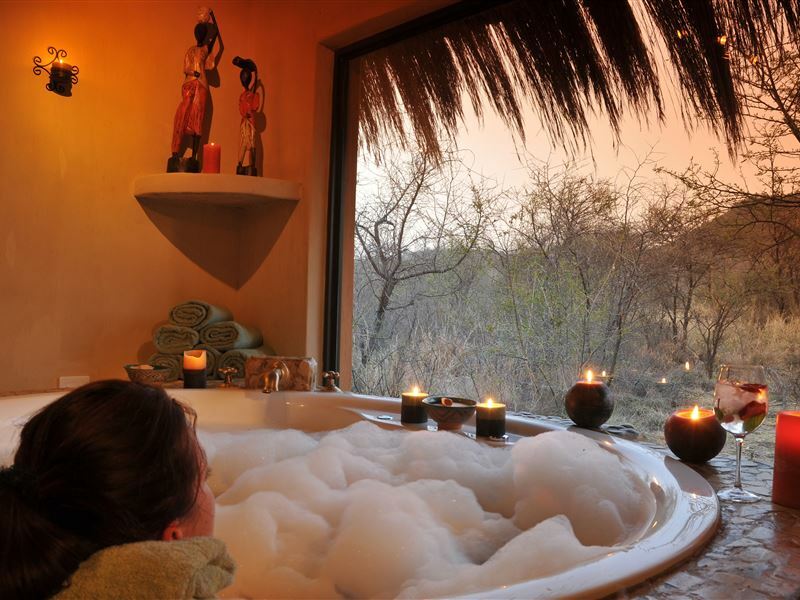 Our extensively trained spa therapists are specialised in treatments ranging from authentic African treatments to specialised hydrotherapy treatments. Conference Venues: The main hall is made up of three sub-halls, each of which can operate independently or together. Equipment includes high-resolution projectors & network points. 3 breakaway able to accommodate 15 delegates are available. The overall impression was one of a well run and slick operation. The staff were very friendly and were particularly impressed with their approach to children. We found this very comforting and I believe should be a differentiator for the lodge. Very little to fault. The food perhaps could be improved a bit - not quite five star. Ranger knowledge excellent. A suggestion is to get have bird books / mammal books in the rooms for reference for guests.